Carl Murphy will oversee Capital House, a new high-end urban coffee house and bistro in downtown Rockford. Neither Ted Brothers nor Carl Murphy had ever heard of Rockford; they had never spent any time in Illinois. Brothers is a native of Boston, Murphy’s a native New Yorker. But now the duo is an integral part of the ever-changing look and feel of downtown Rockford. This June, they will open Capital House, a high-end urban coffee house and bistro, at the address formerly occupied by Kryptonite bar, 308 W. State St. Murphy, who has worked at high-end facilities around the country, will oversee the restaurant. His most recent position was that of executive chef at President Donald Trump’s Mar-a-Lago resort in Palm Beach, Fla. He’s an honors graduate of the Culinary Institute of America who has worked with the likes of Chef Mario Batali. Between them, Murphy and Brothers have more than 60 years of experience and have worked together in various locations. As if the team wasn’t already high-wattage, Brothers and Murphy are bringing in high-end pastry chef Carlee Murphy, who worked with reality TV show “Cake Boss” star Buddy Valastro. He started working at the Boston Hilton Back Bay Hotel and then the state of Connecticut’s YMCA as a corporate chef. He later worked for Holland America Cruise Lines in Alaska before going to New York City to work for Restaurant Associates, at the famous Sea Grill at the Rockefeller Center, under the guidance of Chef Ed Brown. So what brought Brothers and Murphy to Rockford? Brothers worked for Equestrian Sport Productions, an equestrian company where he met Robin Young, a native of Belvidere. Young competes all over the country, but makes her home in the Rockford area, where she runs Foxwood Farm, an equestrian farm in Rockton. Now he’s here to stay and he’s not stopping with just one restaurant. In addition to Capital House, Brothers plans to open a supermarket across the street from the restaurant, along with a chop house later this year near the BMO Harris Bank Center. Brothers said he will put about $1 million into renovating the three locations and Murphy will oversee all three businesses. The supermarket will be a New York-style market with fresh deli, bakery and a small café. Everything will be organic. It will also include delivery service and off-site catering. 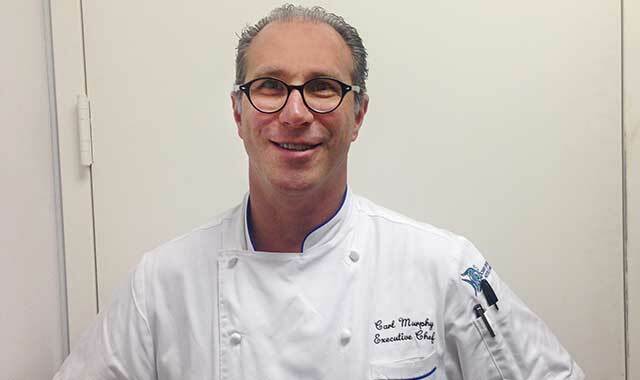 Murphy wants Capital House to be similar to restaurants in Boston and Chicago. The bistro will offer breakfast, lunch and dinner. The menu will include steaks, pastas, seafood, specialty coffees, pastries and breakfast items. The seafood will be delivered fresh directly from Boston and Seattle 24/7; the steaks willbe shipped from Chicago and Denver; and the coffee will be brought in straight from Vermont. “Everything will be high quality, things you can’t find anywhere else,” Murphy says. Capital House will feature blues and jazz on Friday and Saturday nights. This entry was posted on Thursday, June 8th, 2017 at 12:00 pm	and is filed under Dining Guide, Top Posts. You can follow any responses to this entry through the RSS 2.0 feed. Both comments and pings are currently closed.